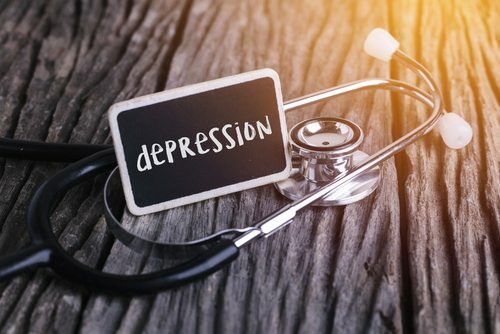 Apart from the risk of injury or overdose, self-medicating for depression by abusing substances typically worsens the depression. Drinking a glass of wine might make you feel better for an hour or so, but afterward, you’ll likely feel even worse than before—and want two more glasses to make up for it. Unfortunately, you’re not a doctor. You’re not qualified to diagnose and handle your own psychiatric needs. A doctor likely wouldn’t recommend substance abuse as a healthy form of treating depression. Treatment will provide you with a team of qualified addiction specialists who can assess your condition, determine the right drugs for you, and walk you through the behavioral growth you need to stay away from the other ones. Substance abuse and depression often go hand in hand. Someone suffering from schizophrenia, bipolar disorder, or high levels of anxiety likely suffers from addiction as well. Whether they realize what they are doing or not, those people with depression who abuse substances are self-medicating to some extent. When they’re feeling down, consuming drugs or alcohol seems to help them feel normal; since they’re down all the time because of what they are doing to their brains, the drug-use feels normal. In drug addiction treatment, patients learn from counselors, doctors, and fellow addicts how to handle depression without turning to their drug of choice. Most often removing the substance abuse alleviates many of the substances of depression. Many of the modalities offered in treatment are used to reduce symptoms of depression. Through therapy, clients gain a more clear analyses as to what is actually causing their depression. Nonetheless, the vast majority of those who go to treatment report feeling happier during and after their treatment process. Many people pessimistically assume that rehab will only fix mood problems temporarily, but one of the greatest benefits of rehab is its undying focus on underlying mental issues that drive each individual’s addiction. The lessons one learns during treatment can last a lifetime if they put it to good practice and use. There won’t be a “fix” of depression but there will be learned tools for living with depression manageably. Most rehab clinics screen each person for mental disorders before entering so that they can better focus on key issues. Once you’re diagnosed, the main priority becomes treating that issue–as a means of solving the addiction.